4-H is the youth development education program of Washington State University Extension, which is conducted jointly by the U.S. Department of Agriculture, your state land grant university (WSU) and your Snohomish County Government. Today 4-H is everywhere–in cities, suburbs, small towns, and rural communities. 4-H is the largest youth development organization in the nation. The United States has more than 6 million members and 600,000 leaders. Around the world, 4-H type clubs now exist in at least 82 countries. In the 21st century, 4-H serves a broad clientele with expanded program focus using a variety of ways to deliver its effective “learn by doing” approach. 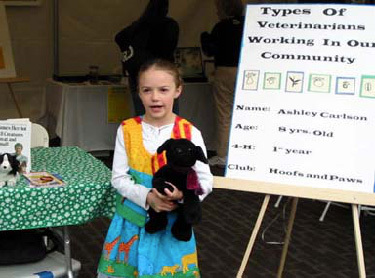 All Snohomish County 4-H clubs are supported by the 4-H Council, a body of volunteers that provides direction, awards, grants, and other resources for Snohomish County 4-Hers. In 2016, we celebrated a milestone of having awarded over $100,000 in grants. Our Grants Committee chair created a celebratory video that you can see linked below. Thank you to all 4-H supporters who have made this milestone possible, including donors, committee members, train show volunteers, and visitors to the annual train show fundraiser!